Instead of a pie crust filled with hydrogenated shortening, I used Immaculate Baking Co.’s all-natural pie crust. 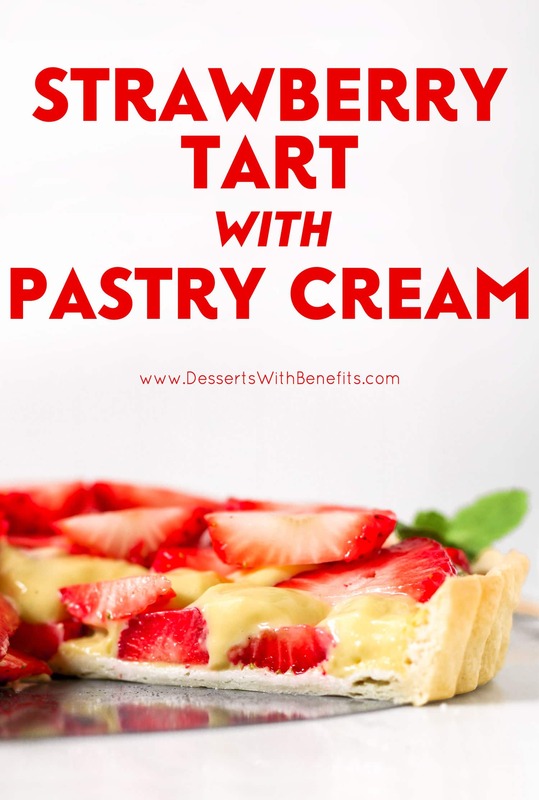 I adapted my Vanilla Pudding recipe to make the dairy-free pastry cream. What good choices these were! 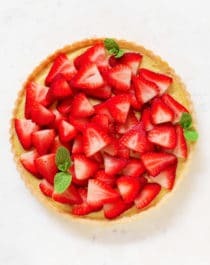 My mom is gonna love this tart come Mother’s Day ? Thaw the pie crust at room temp for ~20 minutes, or until slightly softened (if you unroll it cold, it will tear). Unroll the pie crust over an ungreased nonstick 9″ tart pan. Press the pie crust into the pan and along the pan walls, tearing off any excess crust. Lay a sheet of parchment paper on top of the crust and place pie weights on top. Bake for ~13 minutes, remove the pie weights, then blind bake until golden brown (~8 minutes). Let cool completely.